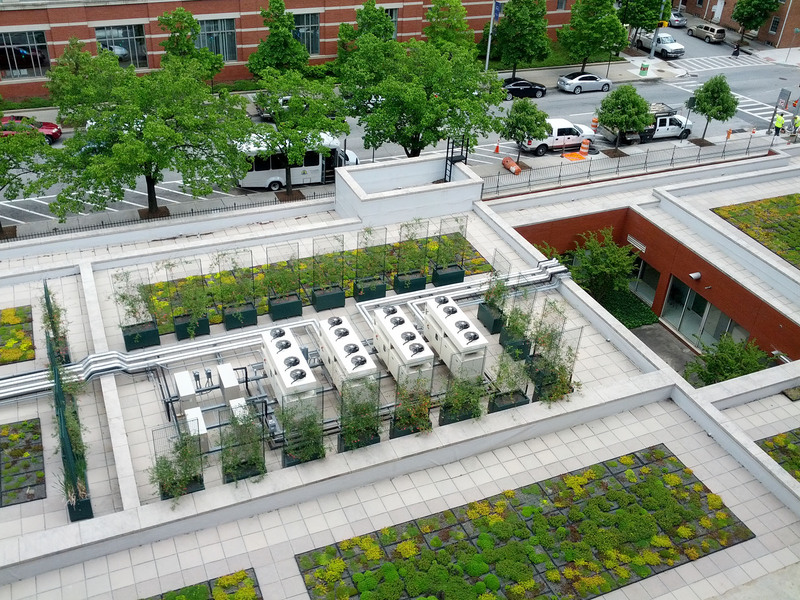 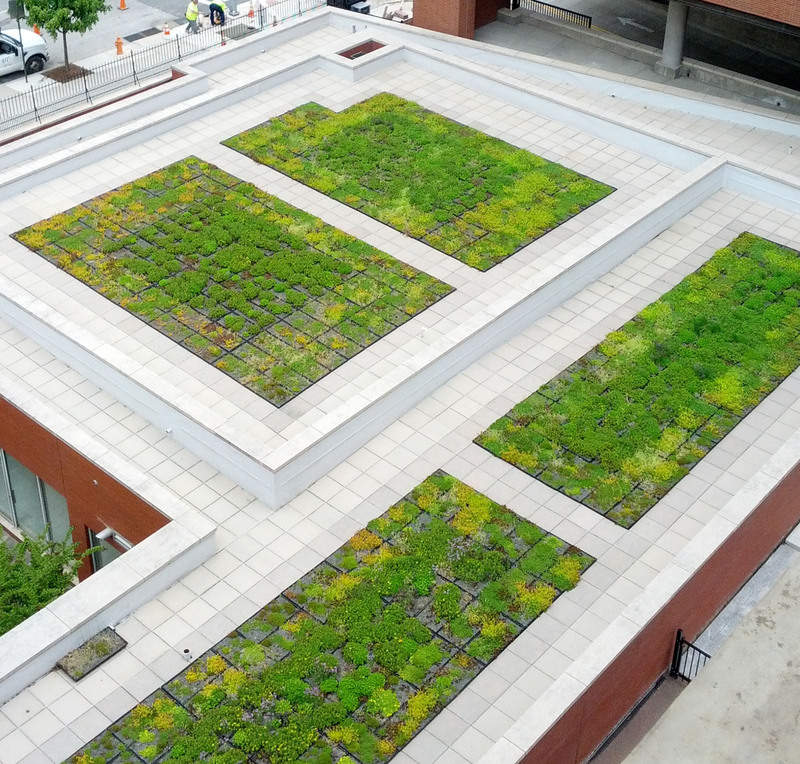 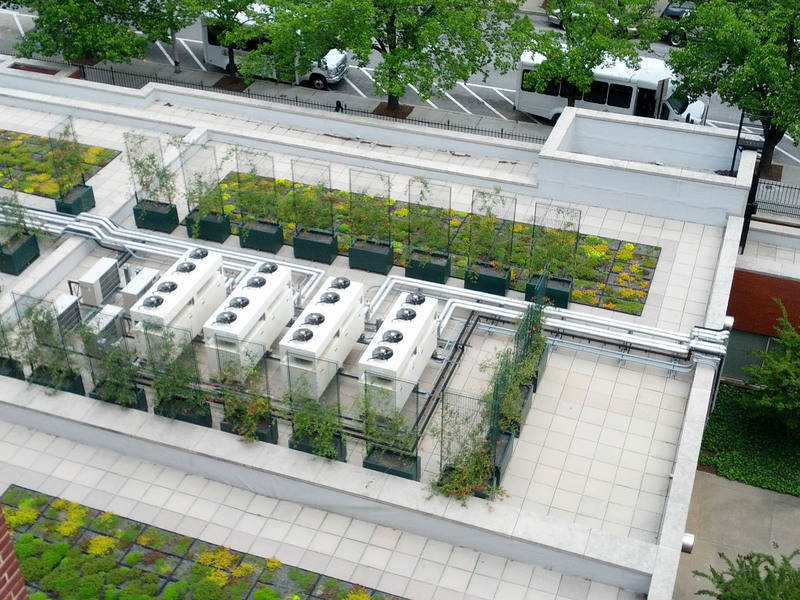 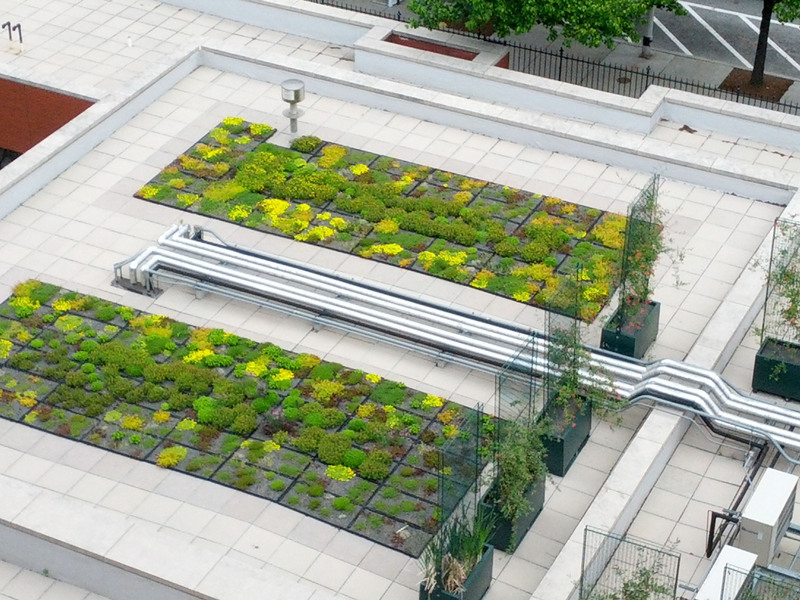 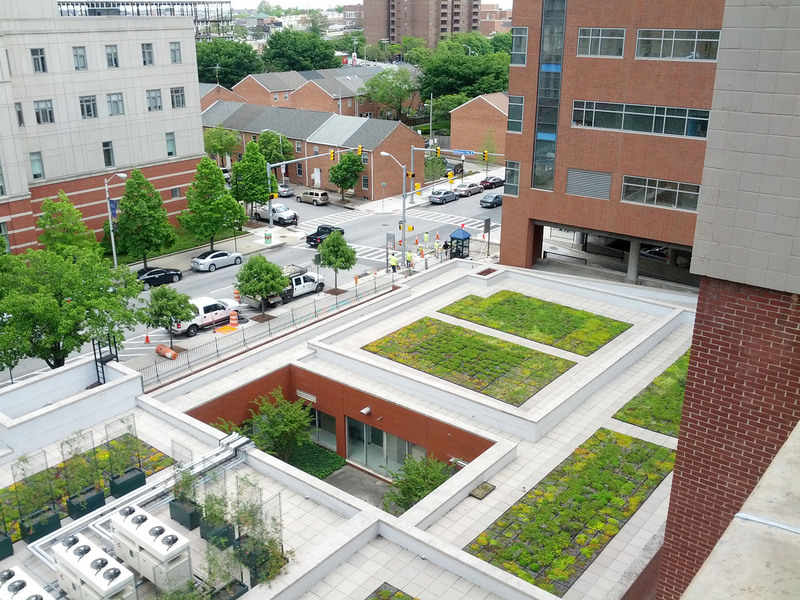 This innovative green roof project, which sits on top of Johns Hopkins Hospital’s MRI Building, consisted of the removal and replacement of the existing 30 year old inverted roof system. 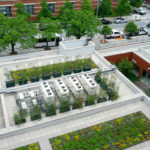 The existing roof was replaced with new inverted systems consisting of 3″ thick poly-iso insulation over a loose laid POLYVINYL-CHLORIDE (PVC) roofing membrane. 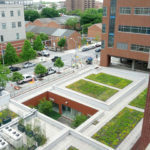 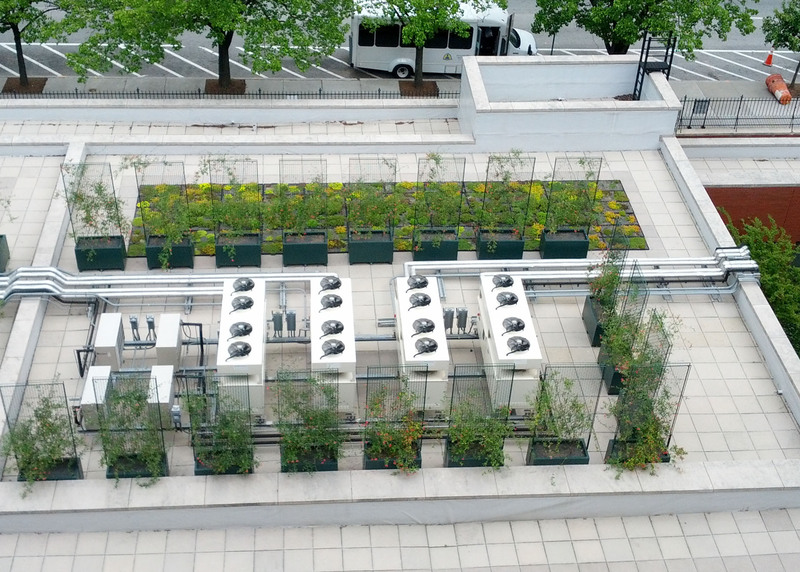 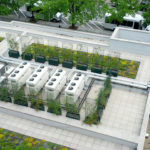 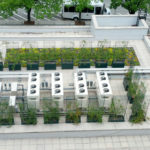 The system included the installation of an interlocking container live green roof system with mature plantings for instant effect.